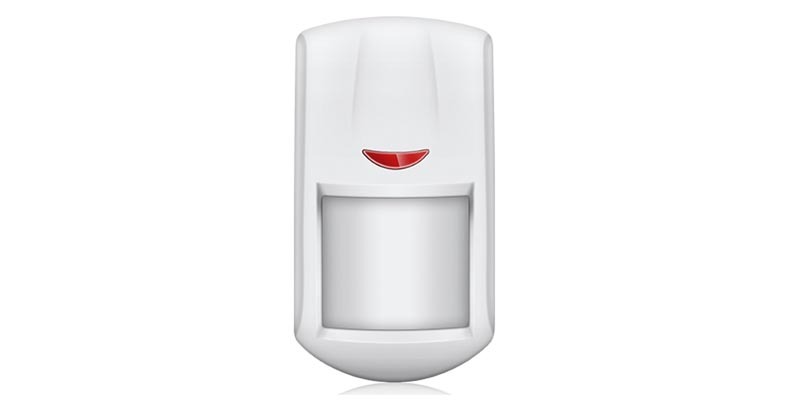 Golden Security Wireless PIR Motion Detector for WIFI GSM Alarm Systems – this wireless alarm is pet-immune and is specifically designed to work with the Golden Security G90B G90E alarm systems, but we can also work with other popular alarm systems on the market (but please check compatibility before buying). This motion detector will trigger when movement is sensed but it is specially programmed to ignore pets who otherwise may trigger false alarms in your absence. The motion detector will sense any movement in a room and trigger a signal to the main system. Set up is easy with no drilling required for wires and cables, everything is done wirelessly and the motion sensor is battery powered so does not need to be wired to the main alarm system or the mains power. The sensor requires a single 3.6V 1/2 AA Lithium battery and there is a low battery alert function to let you know when the battery requires changing. D-Link mydlink Home Wi-Fi Motion Sensor – this sensor will alert you wherever you are when motion is detected in your home. The mydlink Home Wi-Fi Motion Sensor is really easy to setup and connects via your home Wi-Fi to detect motion. You can receive alarm push notifications whenever motion is detected and wherever you are. This sensor works with other mydlink Home smart devices and alarm systems for top manufacturers to enable you to create a smart and secure home without any complicated or labour intensive set-up. Motion sensors can of course be used for many purposes and are not just restricted to alarms and security, you can use them to turn the lights on automatically when you arrive home or even to turn the heating on. But the most common use it to sense movement and therefore possible intruders in your home and alert the main alarm system then send you an alert via your smartphone. The mydlink Home Wi-Fi Motion Sensor can detect motion up to 26 feet and notifications can be sent via a mobile app which is compatible with both iOS and Android mobile phones. Samsung SmartThings Presence Sensor – this wireless motion sensor can help you to monitor when people or pets arrive home or enter specific areas of your home. You can use this sensor to Set connected lights to turn on and off automatically as people come and go, or to receive an alert if your pet unexpectedly leaves home, or if an intruder enters your home. It can set it to trigger pretty much any smart device in your home when connected to a Smart Things Hub (which allows you to control all smart devices from a single app). The Samsung SmartSense Presence Sensor can help keep your home and family safe plus there is a sensor which can be attached to your keychain to keep track of keys.